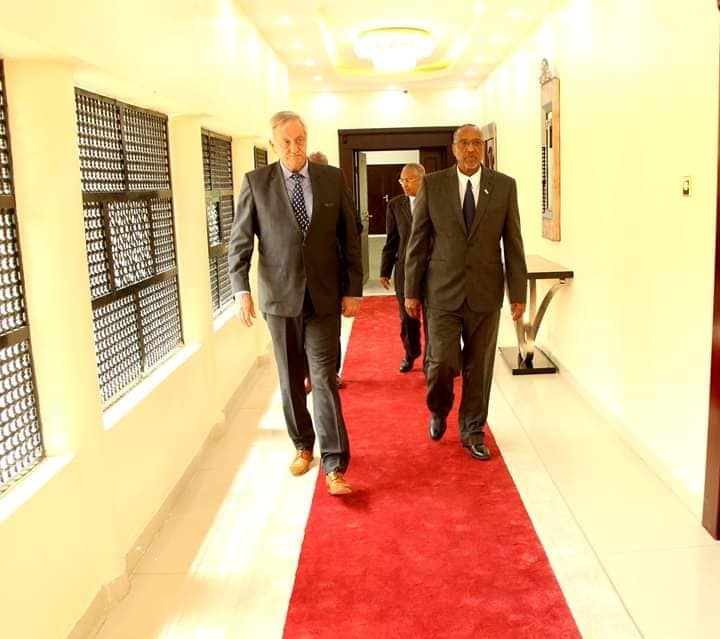 The recently appointed United Nations Envoy and SRSG to Somalia – and, of course, Somaliland, Nicholas Haysom, paid his first visit to the unrecognized Republic of Somaliland, today, Sunday, at the head of a delegation. His Excellency the President, Musa Bihi Abdi, received the Special Representative of the UN Secretary-General’s delegation at the presidency, at which the Vice President, H.E. Abdirahman Ismail ‘Zeili’i’, the Foreign Minister, Dr. Saad Ali Shire, Mohamed Kahin, the Interior Minister and veteran politician and advisor to the President., Ambassador Hussein Ali Duale ‘Awil’, took part. 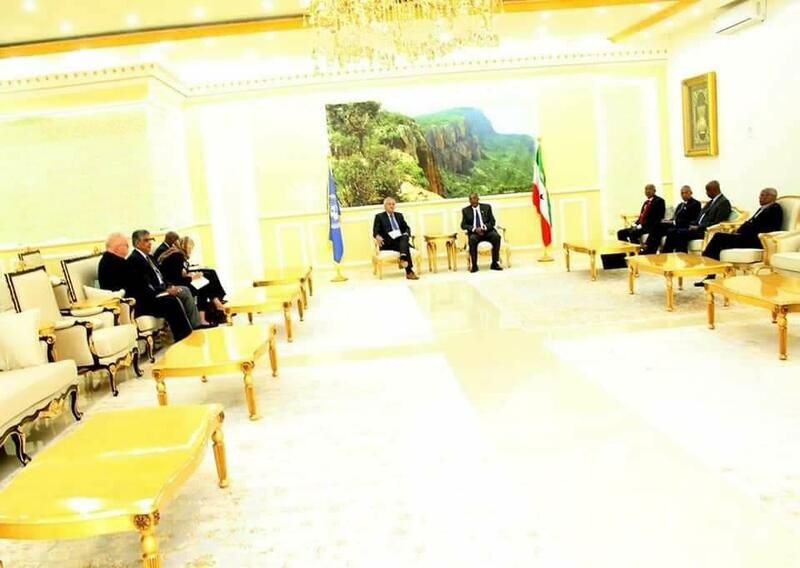 At the end of the meeting, Dr. Shire told the media that discussions the delegation held with the President mainly centered on issues relating to security, on-going and historical cooperation between the Republic of Somaliland and the United Nations offices and how the sputtering talks which started between Somalia and Somaliland on the two countries’ future relations could be revived and kept going. The President of the Republic of Somaliland H.E. @musebiihi had meeting with @UN envoy Nicholas Haysom. On his part, Mr. Haysom said ‘discussions were candid, frank and very useful’, regarding issues that the two sides touched on. 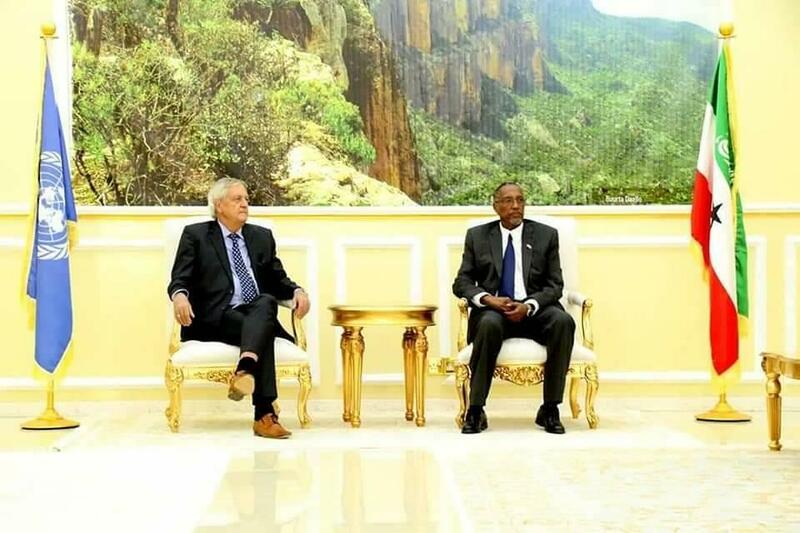 “We have discussed with the President the recent changes which had happened in the region and the challenges facing Somaliland. In that regard, we have touched on the conflict in Tukaraq and, particularly, how that conflict can be managed to avoid any conflagration and eruption of hostilities, in the short term, and a long-term solution for that conflict,” Mr. Haysom said. 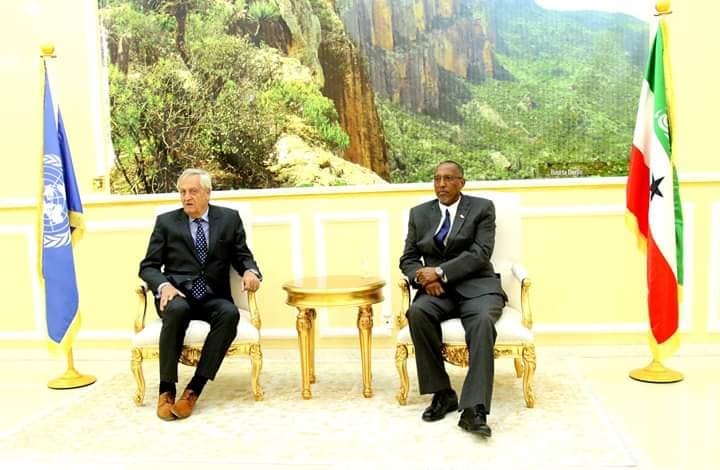 The SRSG said the discussions also covered Somaliland ‘relations with Somalia’. Mr. Raysom’s appointment to Somalia/Somaliland could not have at a worse time. 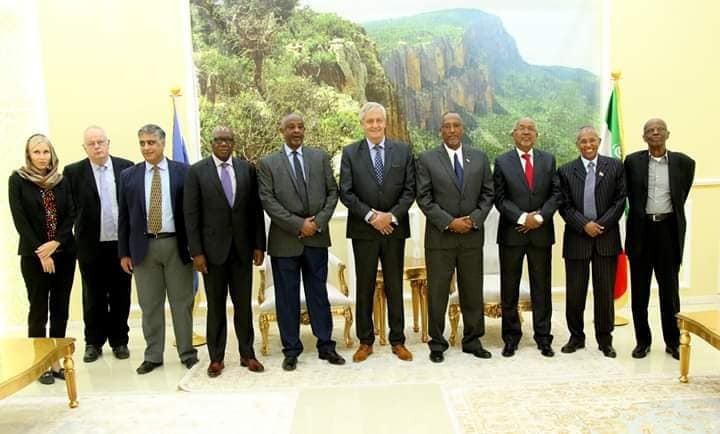 The Federal Government of Somalia, which does not include Somaliland, is presently at loggerheads with four of the five states which form its legitimacy, mainly Puntland, Southwest, Galmudug, and Jubbaland with only Hirshabelle siding with it. Al-Shabaab, too, seems to have collected itself to show the world that Villa Somalia is no match for it. 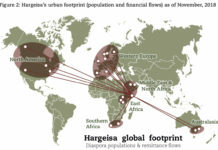 On its part, Mogadishu, instead of single-mindedly managing its political, economic and security affairs, has embarked on an adverse campaign in an attempt to convince the international community and aid partners to stop dealing with Somaliland on the ‘special arrangement’ devised in recognition of the country’s unique situation. 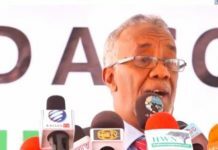 Meddling in the internal affairs of Somaliland by encouraging subversive elements to continuously keep the fledgling, relatively peaceful and democratic on its feet has of recent become another theme Mogadishu so religiously seems to be devoted to. Fanning conflicts is, apparently, part of Villa Somalia’s strategy. 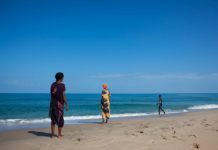 To tactfully navigate out of the political and security that is the Somalia of today would, certainly, keep Mr. Haysom’s table brimming, phones ringing off the hook.